I absolutely love hot cross buns and Easter without them just isn’t complete. A few years ago I managed to buy some gluten free ones in the English food shop in Lyon but they were a bit crumbly and just weren’t worth the expense. I’d kind of put hot cross buns behind me, what with Little Miss Piglet and work keeping me extra busy. That was until I watched the Great British Bake Off on BBC last week! They made the hot cross buns look so easy to make and I was virtually drooling over the television screen. I decided there and then that I was going to make them and two days later I found the recipe and decided to make them during my lunch break! 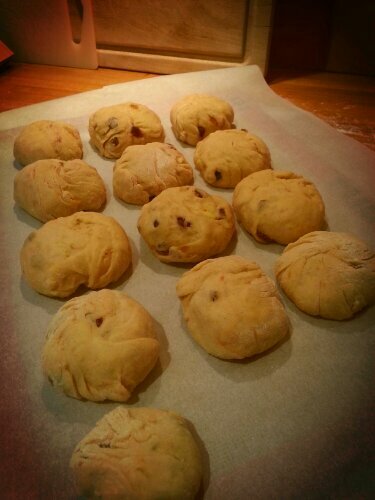 After gatherting together all of the ingredients and trying to decide what the closest French equivalent was to some of the items, my dough had risen and I started making the buns. By this time my lunch break had finished and I was on borrowed time! 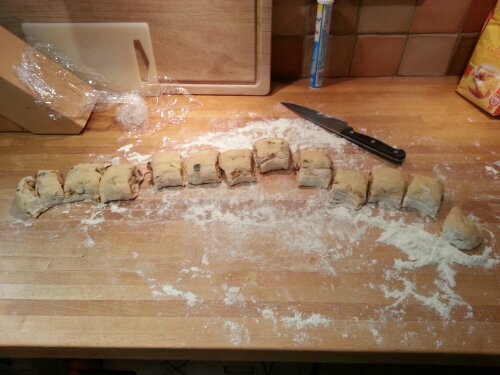 It was a proud moment when the buns were finally ready to go into the over, but also an unsettling one. My oven is temperamental and cooks far too quickly even at low heat. So, instead of leaving them to cook, I kept a beady eye over them and they only burnt a little bit. The finished results were delicious and we really enjoyed them as did our French friends with whom we shared them. 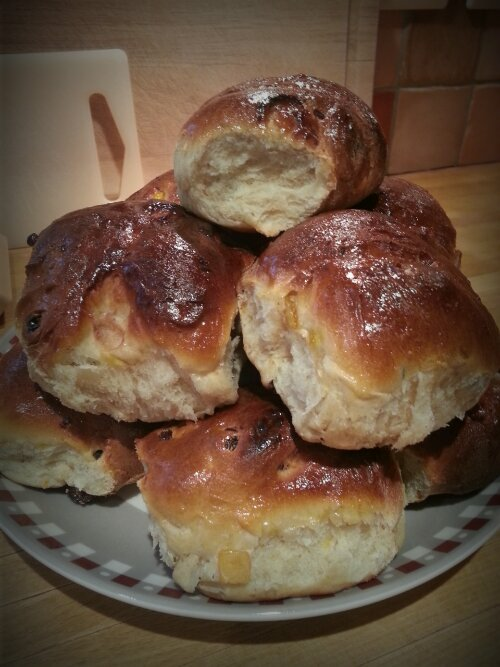 If you want to try and make these yourself here is the recipe I followed: Great British Bake Off Hot Cross Bun Recipe. Do let me know how you get on!